WordPress is a popular blogging platform. WordPress can also be used as a very powerful website creation tool or Content Management System for millions of sites. It’s popular because it is easy. There are literally thousands of themes to choose from, most are free and can be completely customized and installed quickly. In addition to this there are thousands of plugins to enhance WordPress’s capabilities to choose from. Most of these are free and can be used to, amongst other things, add a gallery, contact form or Google sitemap to your site. 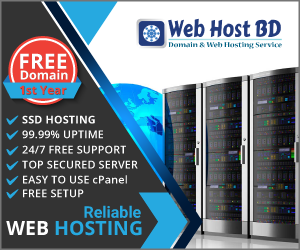 Shared hosting is a standard hosting service where many websites reside on one web hosting server. It is a good solution for many small to medium-sized websites and definitely the cheapest hosting solution. A potential problem with shared hosting is if the host puts too many sites on one server. When this happens the sites on that server will be slow. But fortunately, a good host will not do this. Another problem with shared hosting is the possibility of getting your email blacklisted. As you’re sharing the server with hundreds of people, it will only take one bad penny who’s sending out spam to tar everyone sending mail from that server with the same brush. The solution to this is to route the mail through Google Apps for Business. First of all you have to find a host that can provide the minimum requirements for WordPress. These are PHP 5.2.4 or greater and MySQL 5.0 or greater. Further to this it is recommended that you use a Linux host running the mod_rewrite Apache module (which is needed for SEO-friendly URLs). The best way to choose a good shared host is to go for a host that is recommended by other WordPressers out there. I have spent a lot of time with the WordPress community over the last 5 year and hosts like JustHost, Bluehost and HostGator are constantly mentioned as solid reliable shared hosts. Responsive 24/7 Tech Support: maybe you would like to be able to contact support by phone immediately or maybe you would prefer online support? Price: try to ensure you are aware of the exact monthly or yearly price you are paying. You may like to hunt around for coupons or offers to get some money off to start with. Choosing a shared host for your WordPress website is a really important decision to make. But if you choose a reliable company with lots of expertise with WordPress you won’t go far wrong. It’s a nice site for domain and hosting. For similar purposes you can buy a domain cheaply through http://www.avirahost.com.